A school expansion project at Cranmer Primary School, Mitcham, reached a milestone in its development with the steel structure of the building now complete. 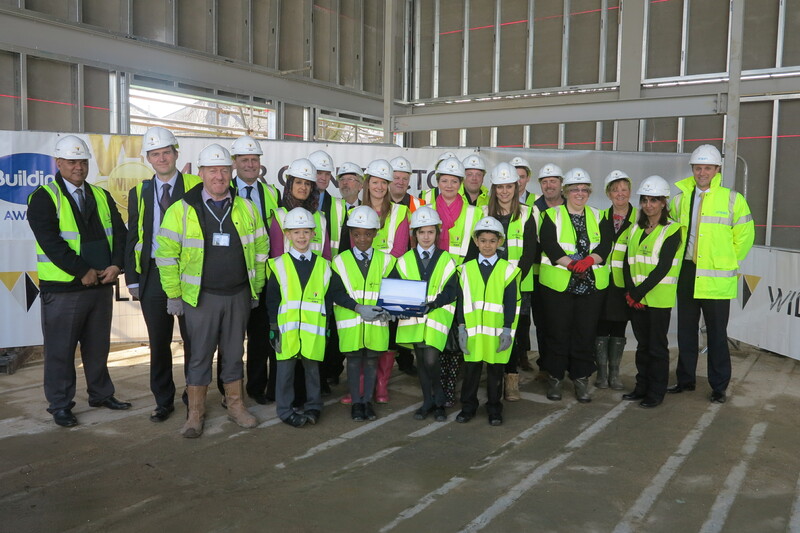 The ‘topping-out’ ceremony held at the new building was attended by Merton’s cabinet member for education, Councillor Martin Whelton, ward councillors Russell Makin and Ian Munn and the school’s vice chair of governors, Simon Kardosh. 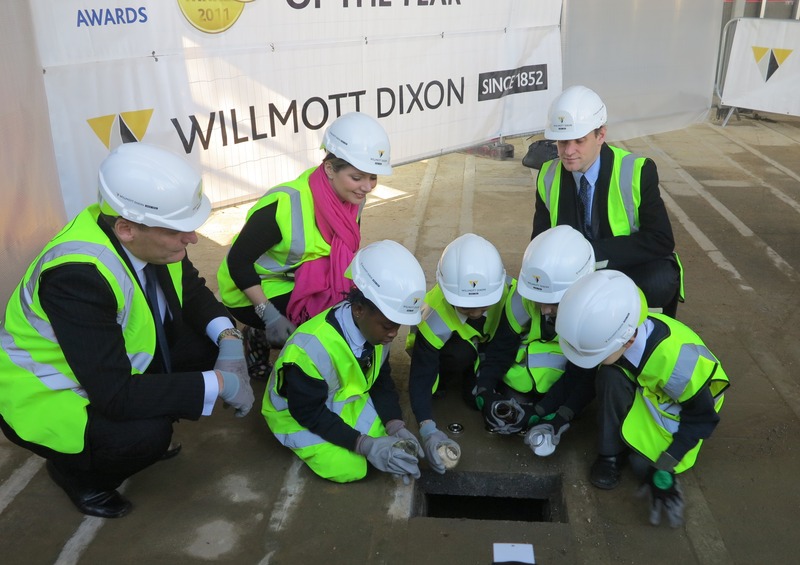 Pupils were also involved in the ceremony pouring oil, corn and salt into the ground to symbolise liberty, prosperity and hospitality and to toast the success of the building. Cranmer’s new £4 million building will house eight new classrooms, a community room, staff area, toilet facilities and solar panels on its roof. 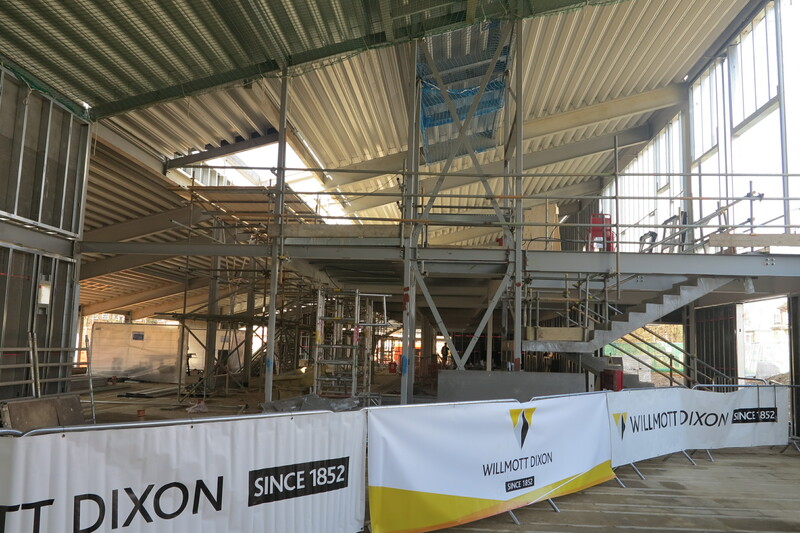 Construction company Willmott Dixon are well into their 44 week project of the innovative design with the building set to be complete in time for the next school year starting September. Topping-out ceremonies are a tradition in the construction industry that mark the structural completion of a building. They usually take place when the highest point of the building has been reached, and are an opportunity for all those involved in the project to toast to the success of the building.